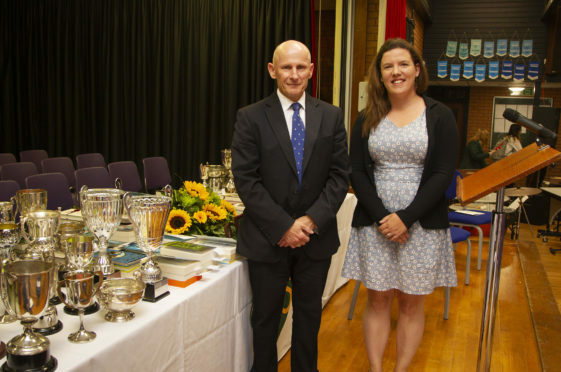 Head Teacher Bruce Pandrich with guest speaker, former pupil Dr Kate Winter. Ten years after leaving Arbroath High school, Antarctic explorer Dr Kate Winter returned to her alma mater to present prizes and motivate the next generation of scientists and explorers. The Arbroath scientist’s career began with a school trip to Iceland that in turn inspired her to undertake a six-week exploration of Greenland during her school holidays. Educated at Colliston Primary School and Arbroath High School, Kate went on to graduate from Aberdeen University, and gained her PHD from Northumbria University. Dr Winter’s latest expedition was as one of a team of scientists who discovered three vast canyons in one of the last places to be explored on Earth – under the ice at the South Pole. Dr Winter, 27, and colleagues’ work uncovered the hidden features with radar, revealing deep troughs that run for hundreds of kilometres, cutting through tall mountains – none of which are visible at the snowy surface of the continent. The findings are the first to emerge from the extensive ice penetrating radar data collected in Antarctica as part of the European Space Agency PolarGAP project. Her team says the canyons play a key role in controlling the flow of ice, and if Antarctica thins, then these channels could accelerate mass towards the ocean, bringing with it the threat of further raising sea-levels. Dr Winter said: “After the school saw the media attention around our expedition, they invited me back to present prizes and talk to students. “I outlined the problems that we all face, such as climate change, and the fact that glaciers are retreating. 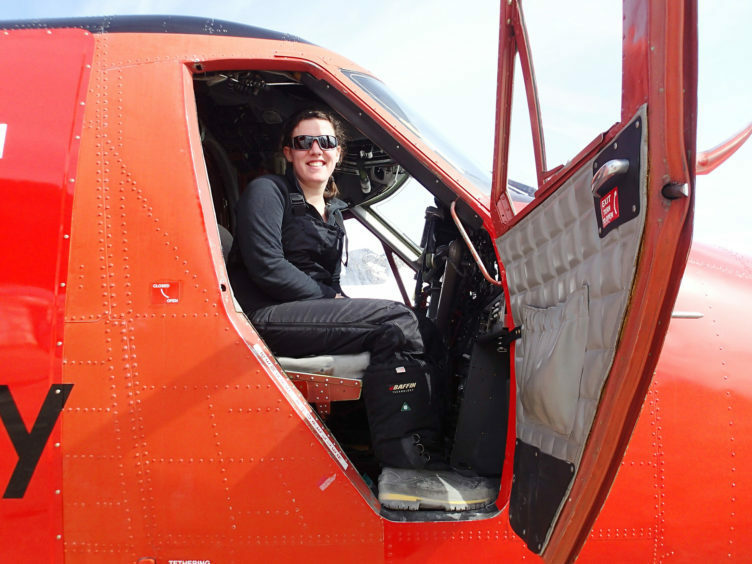 Dr Kate Winter in Antarctica on board the British Antarctic Surveys plane. “But I also highlighted that we can overcome these challenges if we all work hard together to address them. “For example, I talked about how successful the Montreal Protocol, which is gradually eliminating the production and consumption of ozone depleting substances has been. “I also spoke with some of the older students about Antarctica, and we had a question and answer session. 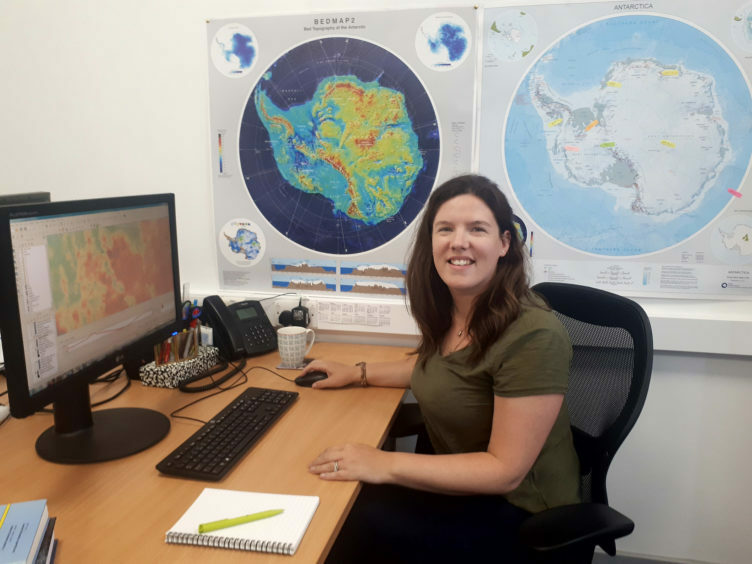 Dr Winter will soon be heading to New York to work with a professor of Glaciology, and will continue to teach and conduct research at Northumbria University on her return.